Today there is a fundamental mismatch between the way in which companies market themselves and the way prospects look for information about a product or service they need. Interruption marketing, where you fight for a prospect’s attention with intrusive advertising, is a thing of the past in a world where it’s easy to search for information whenever it is needed. People don’t want to be bombarded with sales messages at every turn, they want to be able to find relevant information that is useful to them and at a time convenient to them. 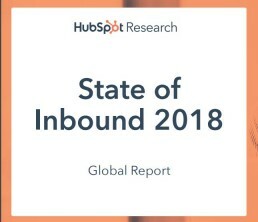 The solution is HubSpot’s Inbound marketing methodology. If you’re looking to build your sales pipeline, HubSpot offers a great set of tools to help you attract new visitors to your website, convert visitors to leads and ultimately close these people as customers. HubSpot call this process the Inbound Methodology. Complete the form below to request your free Inbound marketing assessment and find out if your website is an effective Inbound marketing tools and is optimized for lead generation. HubSpot uses a simple model of the journey that every buyer takes when considering whether to buy your product. In the B2B world, attracting customers is achieved by building awareness. The next step is lead generation, converting these visitors into leads. By engaging these leads, you make them into sales opportunities. Once you have won a customer, it’s critical to keep them engaged. If you can delight your customers, so they will amplify your Inbound activities. The Inbound approach is a customer-centric marketing strategy that brings potential customers to you, rather than having to fight for their attention. By carefully targeting content to the decision makers who will drive your business forward, Inbound marketing attracts qualified customers and moves them quickly from awareness to opportunity. Ready to start Inbound marketing? Complete the form opposite to get your copy of the Inbound marketing checklist. 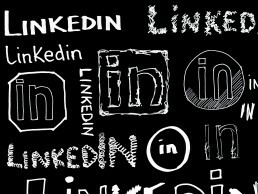 So what can companies like yours do to reach their prospects and promote their messages more effectively? How can you bring sales and marketing closer together to achieve your common business goals? What if there was a central hub where you could see all your social media analytics in one report, track how well your landing pages and calls to actions are working? Send emails to targeted lists to offer personalised and relevant content to your entire database simply and quickly as well as manage your prospects, leads and customer information? HubSpot is a fully integrated marketing platform that does all this and more. The entire Napier team have undergone extensive training with HubSpot’s tools and know just how to get the most out of the Inbound Methodology for B2B Tech Companies. To find out more about HubSpot, get in touch with us – we’d love to talk you through how we can boost your B2B marketing campaigns.